Victor Yuen Pak-leung. Photo: Holmes Chan/HKFP. 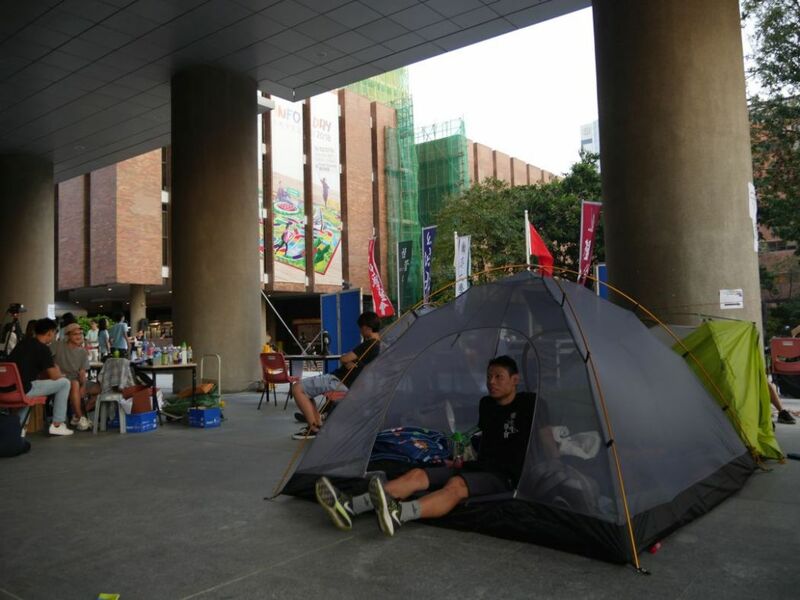 Lam Wing-hang and Victor Yuen Pak-leung, who lead the Polytechnic University’s student union and the union council respectively, started a hunger strike late on Friday after negotiations failed. They were joined by Hendrick Lui Chi-hang, a master’s student from the Chinese University of Hong Kong. The school backed down on Sunday, allowing the student union to resume control over all of the Democracy Wall. “At around 5 pm today, the student union was told that the school has returned control back to us, and promised not to interfere with our management,” the student union said in a statement on Sunday. From right: Victor Yuen Pak-leung, Lam Wing-hang, Hazel Cheng. Photo: inmediahk.net. 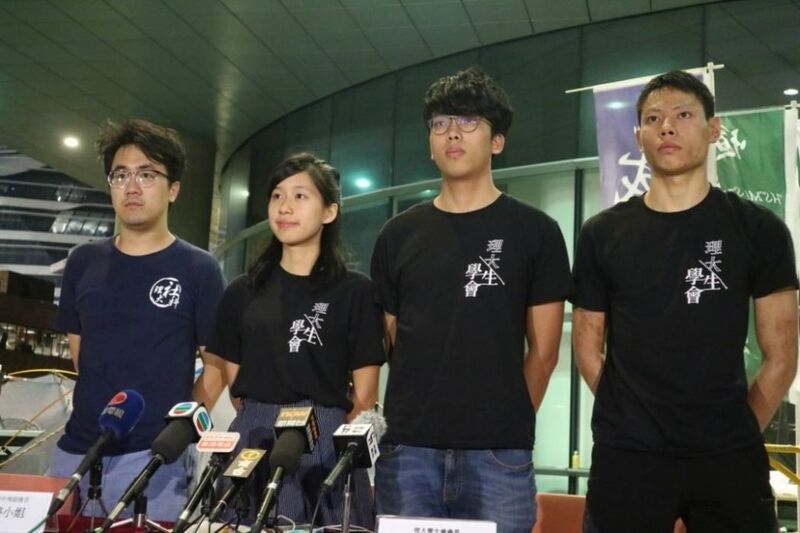 Hazel Cheng Yuet-ting, the student union’s external vice-president, told reporters that messages related to Hong Kong independence will not be censored. 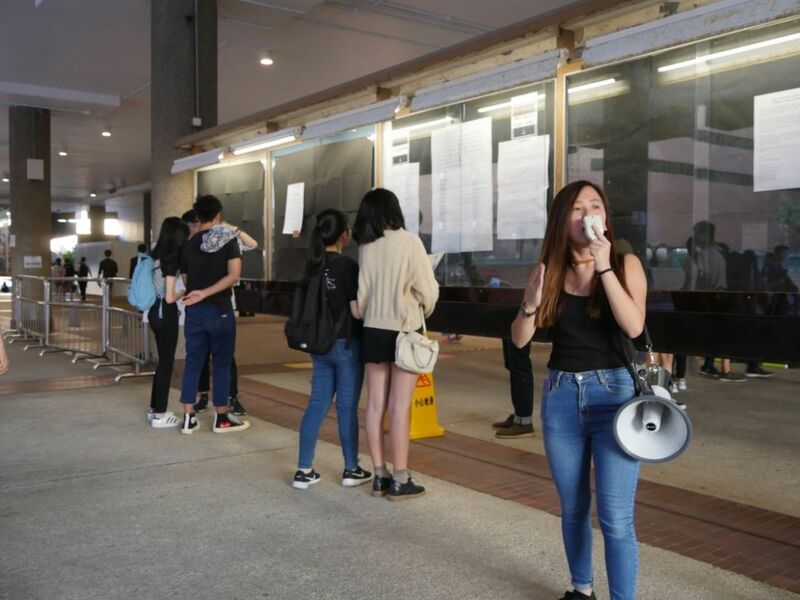 “The student union does not oppose the content of any expression, and will not actively take them down from the wall,” Cheng said, adding that the union made no agreement with the school specifically on pro-independence messages. The ‘Lennon Wall’ at Hong Kong Polytechnic University. Photo: Holmes Chan/HKFP. 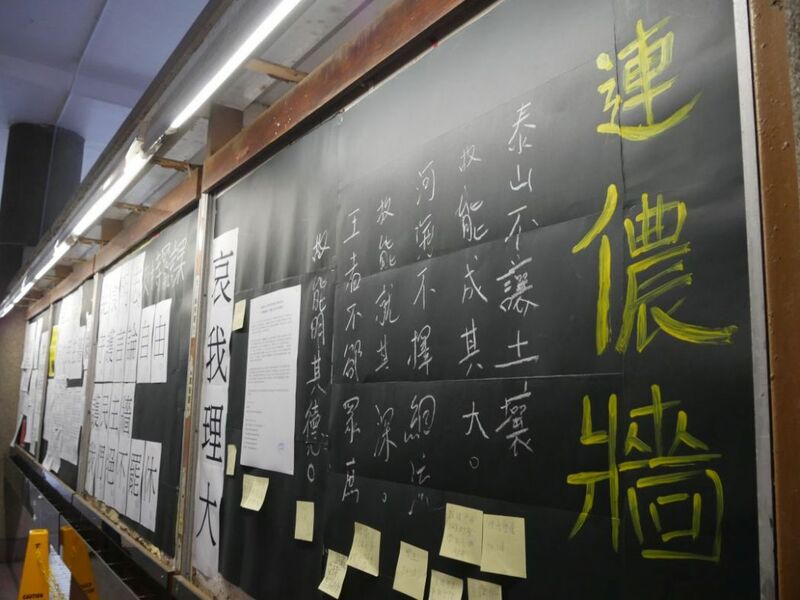 Compared to the Democracy Wall, a long-term fixture on campus, the Lennon Wall had more relaxed guidelines on what messages could be posted. 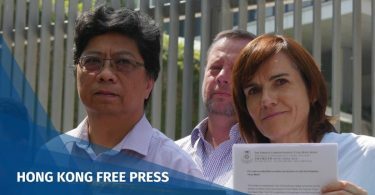 Messages supporting Hong Kong independence and the now-banned Hong Kong National Party first appeared on September 27, a day after similar posts were found at the University of Hong Kong. It remains unclear who was responsible for the posts. The university said the Lennon Wall modification broke regulations and so they asked the student union to remove it. The student union rejected the demand, saying that it infringed upon students’ freedom of speech. Poly U students broadcast their message on the school’s open day. Photo: Holmes Chan/HKFP. 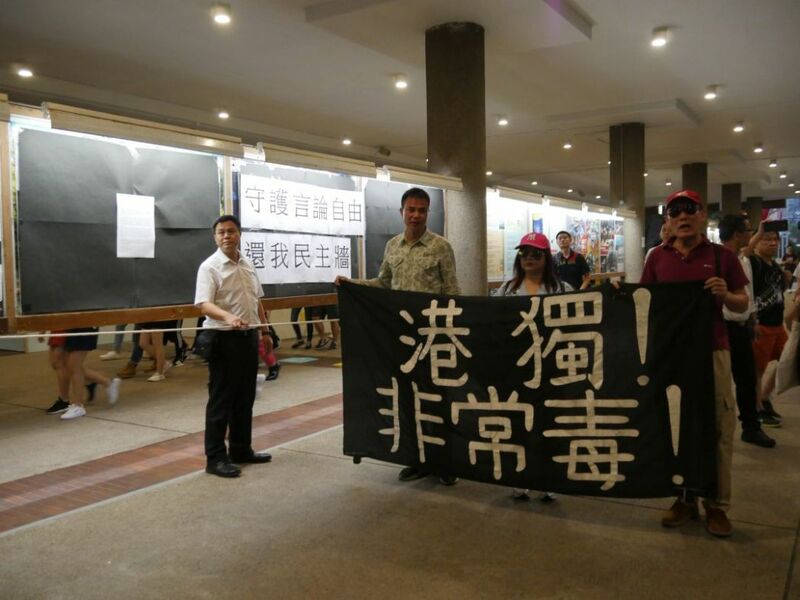 In response, the school taped red-coloured paper over the Lennon Wall on September 29, declaring that it had taken back the responsibility for managing the wall, which was previously only “delegated” to students. After requests for a meeting went unanswered, a group of around 10 students went to the office of the school’s executives and demanded an explanation last Thursday. Multiple students and security personnel fell on the ground during a physical altercation, which the school later condemned as “unruly behaviour.” The university also said the students blockaded two school executives in their office. The student union proposed an open forum for the next day, but school representatives did not show up, leading the students to begin their hunger strike. Protesters from the anti-independence Treasure Friendship Group. Photo: Holmes Chan/HKFP. The hunger strike started on Friday evening, and coincided with the university’s open day the next day. Groups of pro-Beijing protesters also showed up to condemn the students’ behaviour, accusing them of advocating Hong Kong independence. Student unions from six Hong Kong universities also declared their solidarity with the striking students on Saturday.